Why Mothers’ Meet concept was adopted? Mothers’ Meet is a rapport building session which brings parents and teachers close. Children benefit when the adults around them share common values about child-rearing, communicate with one another and give the children consistent support and guidance. Research shows that programmes that teach mothers to improve the quality of cognitive stimulation and verbal interaction produce immediate effects on the child’s intellectual development. It is seen that the level of involvement of mothers in the initial years of rearing is high and a mother is always the first teacher to the child, hence it is called “Mothers’ Meet”. For Nursery, Jr.Kg, and Sr. Kg, Mothers’ Meets are conducted by the Head of the Department along with the class teachers. The focus is on the activities a Mother can undertake to enhance learning. At times, experts vis-à-vis. Psychologists, Paediatricians, or Dentists are invited to conduct a workshop. A special Mothers’ Meet is conducted once a year on CVP (Chinmaya Vision Programme) on value based education by The Chinmaya Mission. The dates for the Mothers’ Meet to be held throughout the year is published in the Little Aryans Pre-K Calendar and given to the children in the month of June. Parents’ orientation programme is held in the first week of June for the parents who have taken admission in Little Aryans Pre-K.
During the orientation programme parents are introduced to the class teachers and other staff members. The school system, the curriculum and other related topics are explained during the parents’ orientation. At times, experts for e.g. Child Psychologists, Paediatricians, and Educators are invited. Parents need to know what is expected of the child and teachers need to understand the challenges the child faces while learning. The conference helps the parents and teachers to review any issues or concerns and find ways to address them. It is especially designed to help the child to have a successful school year. Open day is generally held thrice a year, and the child’s profile is shown to the parents. ‘Special PTC is also conducted whenever required. 6 Background The Maharashtra State Board is diverse, with mass Participative education system with a broader base of access that provides the benefits of uniformity & diversity. Over a period of four decades, The Board has grown tremendously in terms of schools and number of stiudents The Board witnessed rapid growth and expansion at the level of secondary education due to improved quality and standard of its institutions. The Council was set up as a body conduction public examinations. The council provides a course in general education without any diversification of studies. The council is engaged in continued development of curriculum frame works and assessments systems. Cambridge University has been offering curriculum in India for over 150 years. CAG is the new name of the University of Cambridge has developed and promoted qualifications around the world. IBO was founded by a group of European teachers to address the educational needs of children of businessmen and foreign service professionals in internationally transferable jobs. 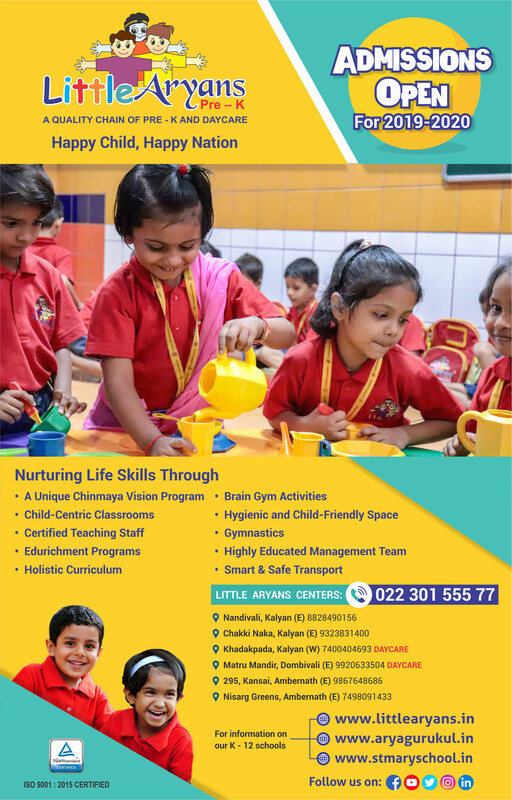 Children studying at Little Aryans Pre-K are given preference during admission to Arya Gurukul (CBSE Board) and St. Mary’s (SSC Board). How does Little Aryans Pre-K prepare for the formal school? A child after being groomed from Little Aryans Pre-K feels attracted to knowledge, culture, and environment and most importantly to good virtues. Our curriculum is designed to enable the children to enter any main school i.e. SSC, CBSE, ICSE or International school. Yes, we organize summer and winter camps that are full of fun filled activities.